A new trailer has been released for Agony, the soon to be released horror game currently in development by Madmind Studios for PC and consoles. The new trailer, which can be watched below, focuses on the game’s nightmare world, giving viewers a glimpse of the challenges they will have to face during the game. Agony will throw players into a horrifying world where they will have to solve the riddle behind the mysterious Red Goddess, but it will be no easy task, as seen in today’s trailer. 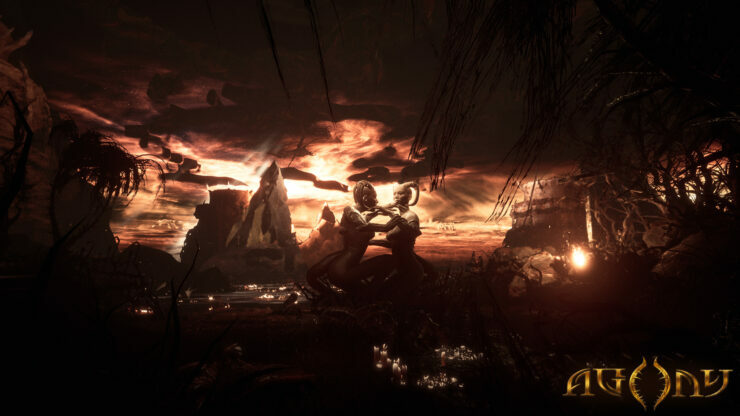 Alongside the single-player campaign, Agony will also sport an interesting challenge system that randomly generates levels for players to explore and survive to gain new high scores. Agony throws players in the midst of hell where they strive to stay alive and solve the riddle behind the mysterious Red Goddess; architect of this place of sorrow and pain, and the sole entity with knowledge of how escape… but there is more to the story than it seems. Haunted by nightmare creatures, players gain the ability to possess demons and other souls to find their way out of hell. Agony launches on PC, PlayStation 4 and Xbox One later this month, on May 29th, in all regions.